Ahead of SIHH 2019, Panerai has upped the sporty stakes with the Panerai Submersible Chono Guillaume Nery Edition, a serious professional diving watch dedicated to the French free-diving champion. In case you’ve never heard of Nery, he’s an impressive individual. His entire career involves diving as deep as possible without any equipment, pushing his body to extremes on a regular basis. His record – and the world record – is 127m down in a single breath. If there’s any underwater professional for whom every second counts, it’s Nery. Panerai’s latest then should serve him rather well. It’s as big and bold as any Submersible, the ex-Florentine watchmaker’s extreme performance range, complete with the 300m water resistance that denotes a professional instrument. Then there’s the size. At 47mm this is a beast. It’s supposed to be strapped over a wetsuit rather than straight onto the wrist but even so, it’s a huge timepiece by most standards. Stallone probably has a pre-order on it. 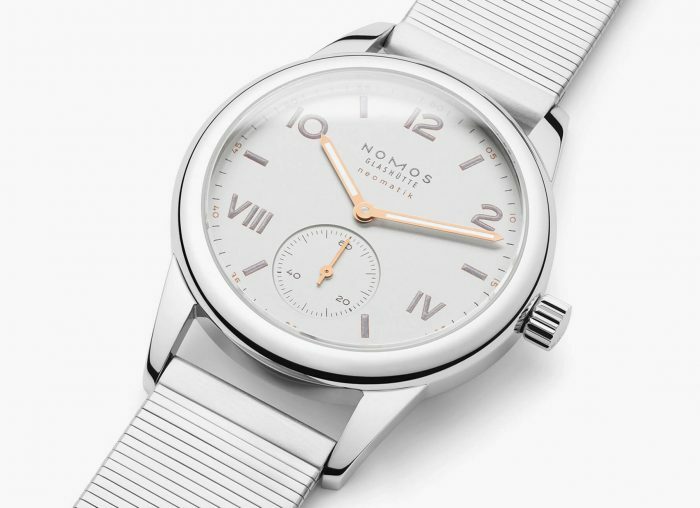 Thankfully it’s not quite as heavy as it looks, given that the entire thing is built from ultra-lightweight, corrosion-resistant wonder metal titanium. That should make it wearable. The bezel too is mainly titanium with a blue ceramic disc for a much-needed dash of colour and impact resistance. Panerai’s signature lever-released crown guard is as big and practical as ever, stopping the crown from being damaged or accidentally popped out during a dive. 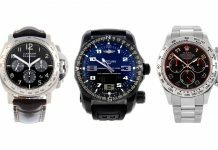 Its size means the chronograph has been moved to the opposite side with twin screw-down pushers for a touch added water resistance. The chronograph layout is a little different than usual, with both chronograph seconds and minutes displayed centrally. 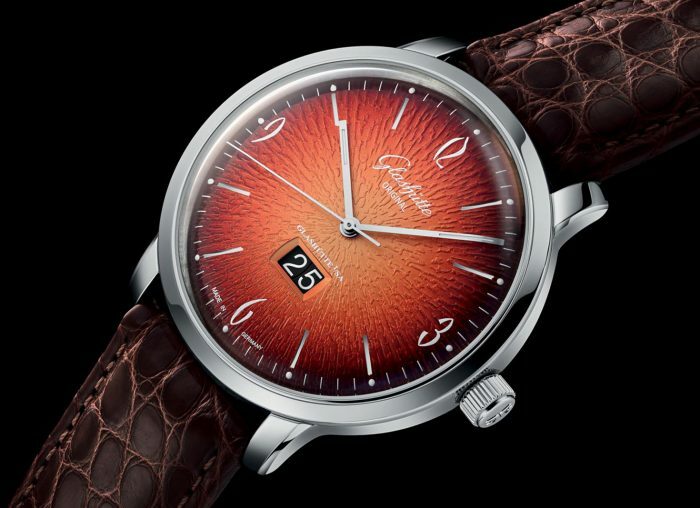 It gives a little more space on the dial rather than shoving the usual third subdial at 6 o’clock. Running seconds are at 9 o’clock, opposite chronograph hours at 3 o’clock. 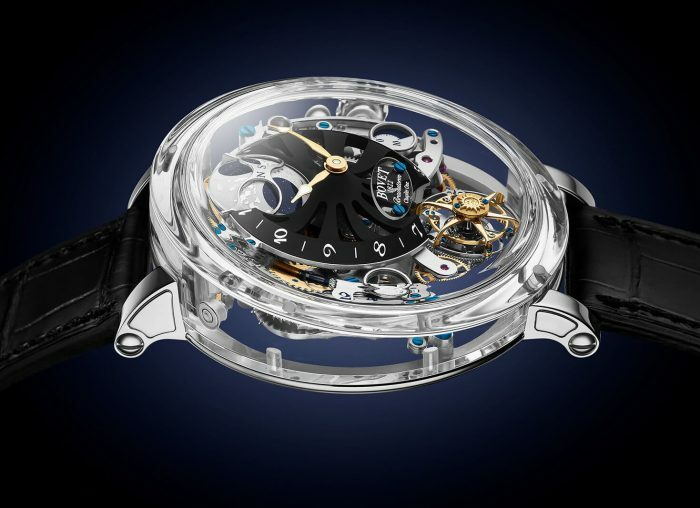 All of that is powered by the in-house P.9100 automatic movement, with its twin barrels providing a 72-hour power reserve. It also includes a mechanism that zeros the second hands to make it a touch easier to synchronise it with whatever reference clock you’re using just before a dive. Surprisingly, given the engraving of Nery on the back, this isn’t actually a limited edition. 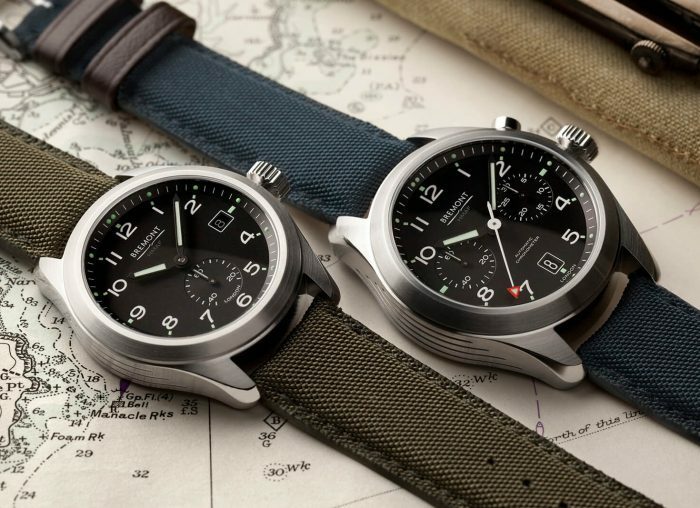 That said, it’s one of the most serious watches Panerai has built for a while and, with its titanium case, it’s probably not going to be the easiest watch to get a hold of. Best get in there asap. 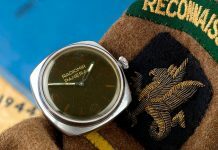 Find out more on Panerai’s website. 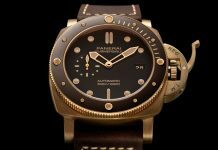 Share the post "Panerai Submersible Chrono Dive Watch Dedicated to Free-Diving Champion Guillaume Nery"